You can try to add this snippet of code below. In case you want both text area and text boxes present the same font size, use this one below instead. If you do need further assistance, please feel free to contact us. We would be more than happy to assist you with anything. That has worked. The only thing that is slighty different now is the font size of the drop down menu. Can I change that too as it's slightly smaller? 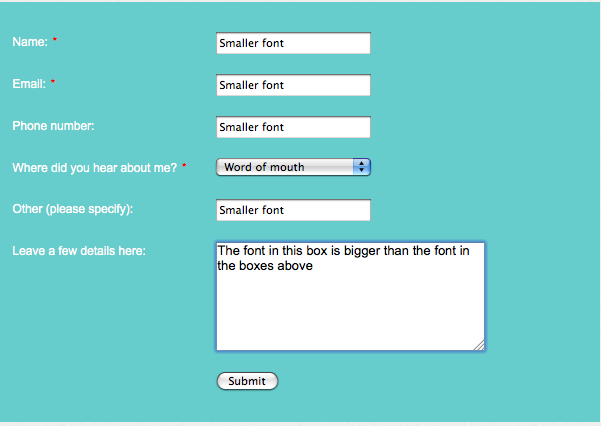 the text input and text area.